Thankfully my elves are very organised and spend a lot of time planning so that I can make it round all your houses and drop off the correct gifts every year. Packing for any kind of trip can be seen as a chore but I really enjoy it. Making a list of all the things I’ll need reminds me of all the exciting activities I’m going to get up to. 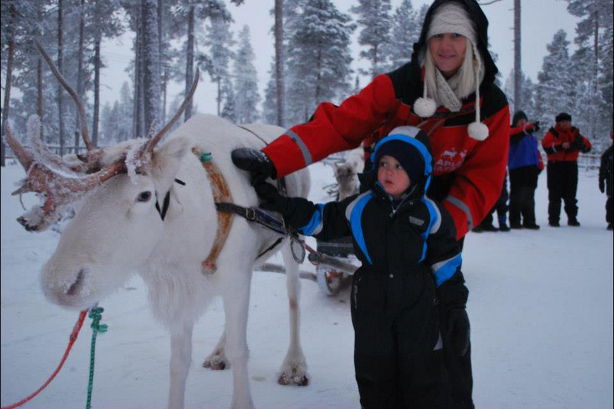 If you’re going to the beach (not that I appear there very often), it’s very straightforward but what do you need to pack for your holidays to Lapland? Up here in the Arctic Circle, I love to sit by a roaring fire, all warm and toasty in the evening. By day, though, it is cold outside – generally about -12ᶜ and sometimes as low as -30ᶜ. Don’t worry as my elves will supply you with most of what you need to keep warm – they’ll make sure you have a thermal outer-suit, some cosy woollen socks, snow-boots, outer gloves and a hat. You will need to bring some of your own clothes as well, and the key to dressing for Lapland is to layer up. Some thermal underwear, some kind of long sleeve shirt or fleece is best and then a jacket are ideal underneath your thermal suit. The layers will trap the air and keep the cold out and the heat in. Also bring some waterproof gloves or mittens to wear under the ones we’ll give you to keep your hands warm when you’re throwing snowballs, building a snowman or petting the reindeer and huskies. Extra socks, scarves, hats and balaclavas are always worthwhile bringing along too. You won’t be outside all the time though, so make sure you pack something nice to wear for the gala dinner – maybe a lovely, jolly festive sweater or a Christmas party dress? Something you’ll definitely want to pack is your camera. 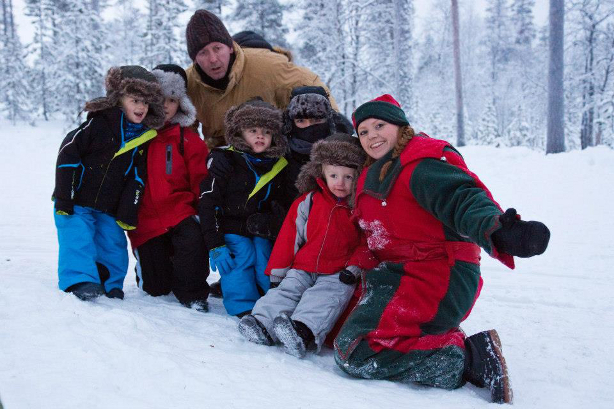 There are so many things to see and do here in Lapland that you’ll want to treasure your memories forever – whether it’s riding with the huskies or going on an excursion to see the beautiful Northern Lights. Of course, I also love meeting you all and it’s great when you send me your pictures of our meeting, which I love to share on facebook. Finally, remember to leave a little room in your suitcase in case I think you deserve a special early Christmas present for coming all the way to Lapland to see me!